Heather grew up in Bellingham, Massachusetts. She graduated from Providence College with a double major in English and History. Heather graduated from Franklin Pierce Law Center, in Concord, New Hampshire, where she was an editor for the Pierce Law Review. 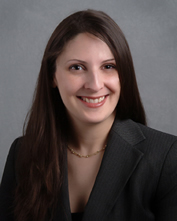 After law school, Heather worked as a Superior Court Law Clerk at Hillsborough North Superior Court in Manchester, New Hampshire, for three years and served as Senior Law Clerk for one year.